Investors interested in high returns can choose mid-cap funds that bear lesser risk than small-cap funds. Mid-cap funds are not susceptible to gyrations in the broader market. This makes these funds ideal bets given the erratic macroeconomic conditions in recent years. Also, when capital appreciation over the long term takes precedence over dividend payouts, growth funds are natural choices for investors. These funds focus on realizing an appreciable amount of capital growth by investing in stocks of firms, whose value is projected to rise over the long term. However, a relatively higher tolerance to risk and the willingness to park funds for the longer term are necessary while investing in these securities. This is because these may experience relatively more fluctuations than the other fund classes. Below we share with you three top-ranked mid-cap growth mutual funds. Each has earned a Zacks Mutual Fund Rank #1 (Strong Buy) and is expected to outperform its peers in the future. Investors can click here to see the complete list of mid-cap growth funds. Baird MidCap Investor (MUTF:BMDSX) seeks capital growth for the long run. BMDSX invests the bulk of its assets in equity securities of domestic and foreign mid-cap companies. The fund focuses on investing mainly in common and preferred stocks, and in ADRs that are traded on the key U.S. exchanges. Baird MidCap Investor has one-year annualized returns of 17.8%. Charles F. Severson is the fund manager of BMDSX since 2000. T. Rowe Price Diversified Mid Cap Growth (MUTF:PRDMX) maintains a diversified portfolio by investing a bulk of its assets in common stocks of mid-cap growth companies, whose market-cap is similar to those included either on the Russell Midcap Growth Index or the S&P MidCap 400 Index. T. Rowe Price projects that these companies have above-average earnings growth prospects. T. Rowe Price Diversified Mid Cap Growth has one-year annualized returns of 18.3%. PRDMX has an expense ratio of 0.84% compared with the category average of 1.20%. Neuberger Berman Mid Cap Growth R6 (MUTF:NRMGX) invests a large chunk of its assets in common stocks of mid-cap companies whose market-cap is similar to those included on the Russell MidcapA Index. The fund seeks capital growth and reduces its overall risk by investing in different industries, sectors and companies. Neuberger Berman Mid Cap Growth R6 has one-year annualized returns of 20.4%. As of June 2018, NRMGX held 99 issues, with 2.40% of its assets invested in CoStar Group Inc.
To view the Zacks Rank and past performance of all mid-cap growth mutual funds, investors can click here to see the complete list of funds . 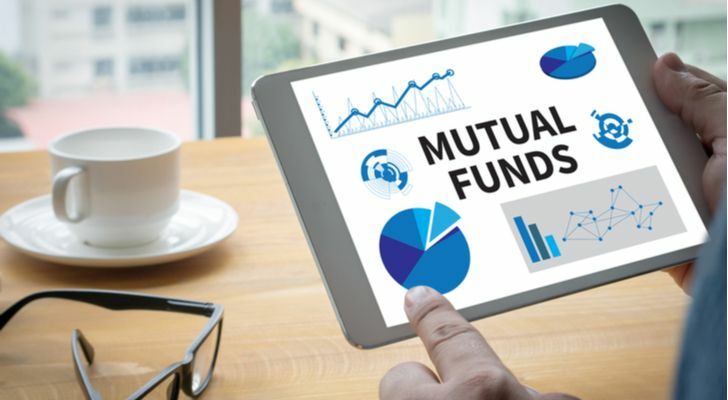 Article printed from InvestorPlace Media, https://investorplace.com/2018/08/3-best-mid-cap-growth-mutual-funds-jksyn/.